Allen Roofing & Sheet Metal is dedicated to providing the best possible quality, superior customer service, and workmanship you can trust. Our commitment to excellence has made us a trusted company in the Capital Region for roofing, siding, gutters and painting. Our team delivers dependability, longevity, and roofing strength. Remember – a better roof means energy savings and increased home value! For information about other services, please visit our website at www.allenroofingsheetmetal.com. You can also follow us on Facebook and Twitter. We offer same-day service for all emergency calls. Contact us now for emergency leak repair service - before it’s too late! Allen Roofing & Sheet Metal gives FREE estimates. Please call us today at 518-380-6514 or 518-301-6727 Monday through Friday between 8 a.m. and 6 p.m. or Saturday between 9 a.m. and 5 p.m.
Before choosing a roofing contractor, be sure the contractor is licensed and insured. We are fully insured. When you hire Allen, you hire experience. Since 2003, we have proven ourselves to be the best roofing contractor in the Capital Region. We serve Albany, Schenectady, Colonie, Clifton Park, Saratoga, Guilderland, Delmar and Amsterdam. As a company built on family values, we know how important it is for you to not be impacted tremendously while we work. That is why we use only Professional Certified Roofing Installers you can trust! We know how important it is for the job to be done correctly, which is why we treat every home like it is our own. Our roofing contractors are employed by our company, and we will never outsource your roofing job to other roofing companies. 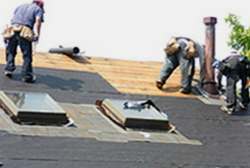 We will see your roofing job through from start to finish. 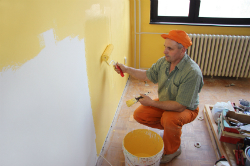 Whether you are planning home improvements, facing damage reconstruction or selling your home, we offer solutions to enhance the look and value of the entire property. We don't look at a work as "just a roof or siding job." After all, your roof and siding protects you, your family, and your possessions from the elements - making your home a warm and comfortable place. Roofing and siding add to the overall appearance of your home - whether you choose shingles, a metal roof, or a "green" roof and vinyl siding. The style, color, and materials you choose can make a tremendous difference in how your house looks, not to mention its market value. 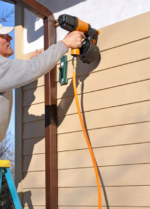 And, lastly, your roof and siding should be worry-free. After all, you’ve got other things to worry about!